Kathleen Talbot, left, and Carrie Frieman, executives with Reformation explain the brand’s sustainable journey in front of a jam-packed audience. 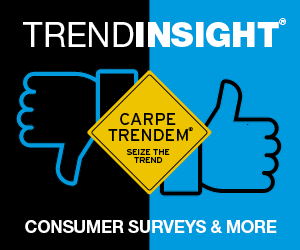 Texworld attendees check out the trend displays on the show floor. 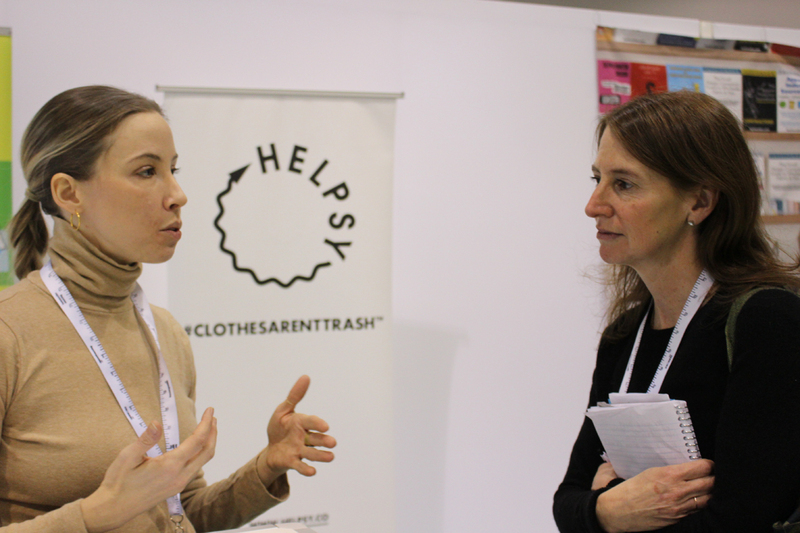 Rachel Kibbe of Helpsy company explains what clothes are not trash. Taking a quick break at the end of a long day talking textiles at Texworld in New York City. Talks focused on sustainablity drew a large crowd. 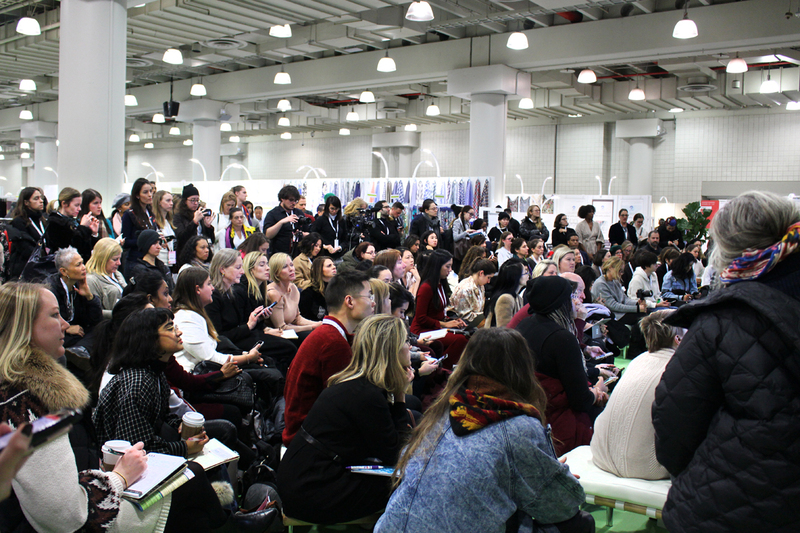 It was standing room only at presentations about sustainability at Texworld as today’s fashion crowd is particularly keen on advancing green practices. Conversation at talks and panel discussions represent a shift in awareness on the part of 7th Avenue vendors. A focus on fiber has evolved over the past few years giving way to a deeper understanding of supply chain issues and implementation of initiatives surrounding producing responsible product. 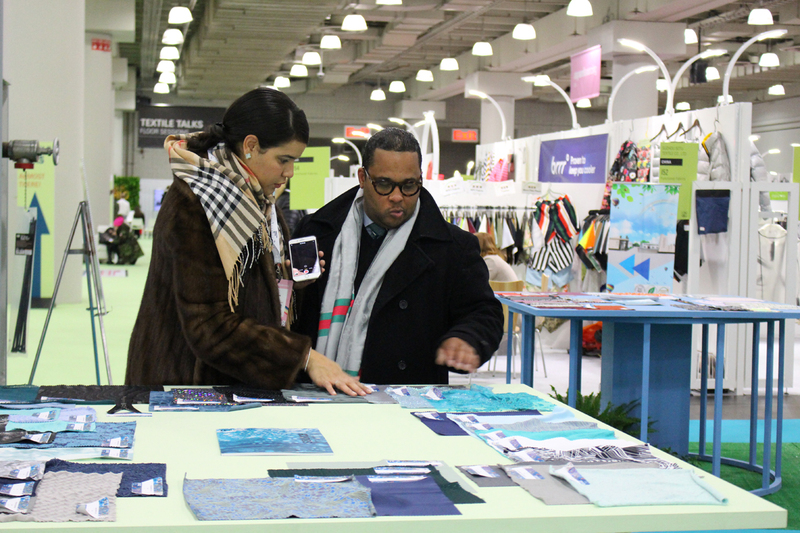 “Transparency,” “Circularity,” “Reverse Production” and “Consumer Engagement” were buzzwords and phrases often overheard at Texworld USA held in New York City January 21- 23. What to do about waste is another industry priority. Designing product with “end of life” in mind is garnering attention as reports of landfills overflowing with textile trash make headlines. On average, individuals throw away 85 pounds of clothes per person annually. 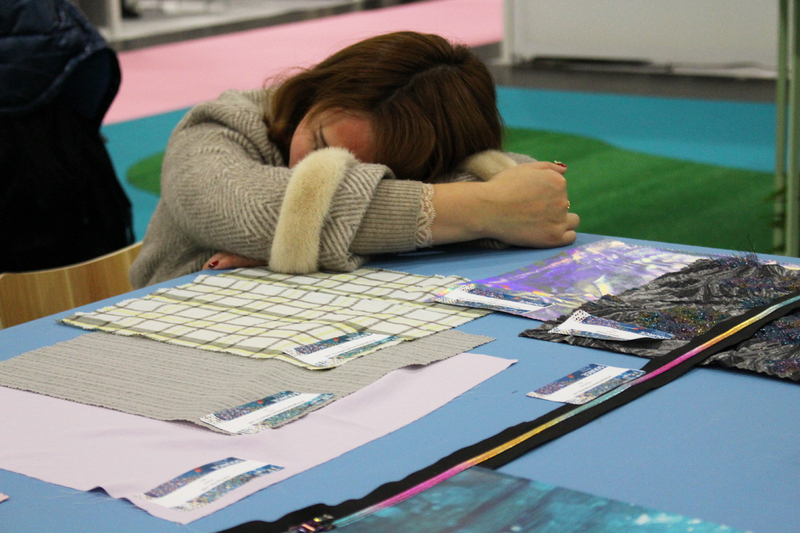 Two companies exhibiting in the Resource Row at Texworld are working to construct a new value chain to manage waste. Helpsy focuses on post-consumer waste, while FabScrap deals with pre-consumer waste. These young, NY-based firms have different models, but share a similar mission – collection services targeting getting textiles out of landfills and back into the marketplace. Says Rachel Kibbe, co-founder, Helpsy, “Clothing can be a recycling based act, just like plastic bottles and other recyclables.” Jessica Schreiber, founder of FabScrap, spent five years working at the Department of Sanitation in NYC, and she looks forward to soon opening a fabric-specific thrift store, adding to her company’s growing business of recycling textile waste from the fashion, interior design and entertainment industries. 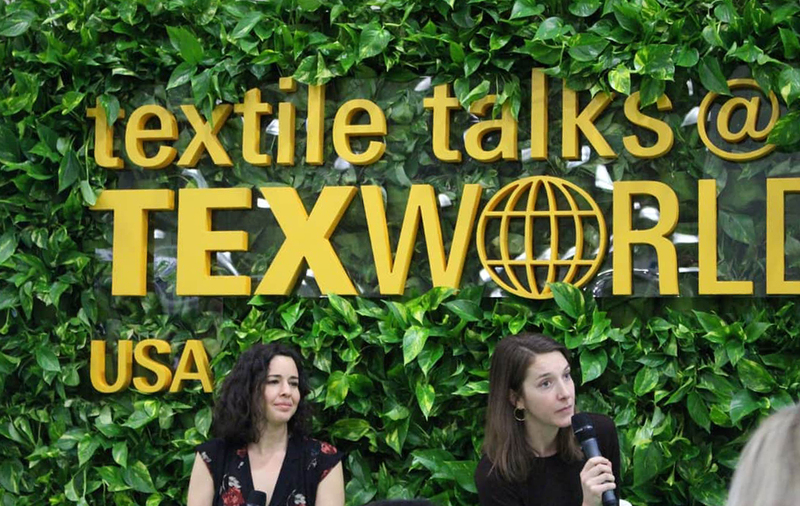 Texworld offered a comprehensive education line-up of seminars and sessions themed around sustainability. In fact it seemed many attending the show – co-located with Apparel Sourcing USA – were onsite as much for the programs as for the exhibitors. There’s no doubt the fashion industry is playing catch up fast when it comes to learning about social and environmental responsibility in addition to a willingness and commitment to making sustainable change throughout the textile supply chain.